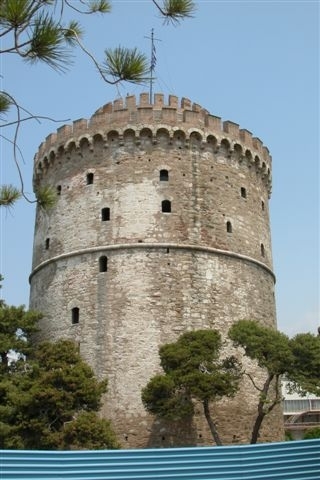 Of the White Tower in Thessaloniki, Greece, Carole writes, "I don't know the significance of The White Tower but it is definitely a landmark of some kind. It sits along the waterfront of Thessaloniki and is pictured in many postcards and on the cover of their Thessaloniki souvenier booklet. But nowhere in it can I find what it is."